One of the gang keeps watch. Our backyard has been feather deep in several bird families looking for a feed. 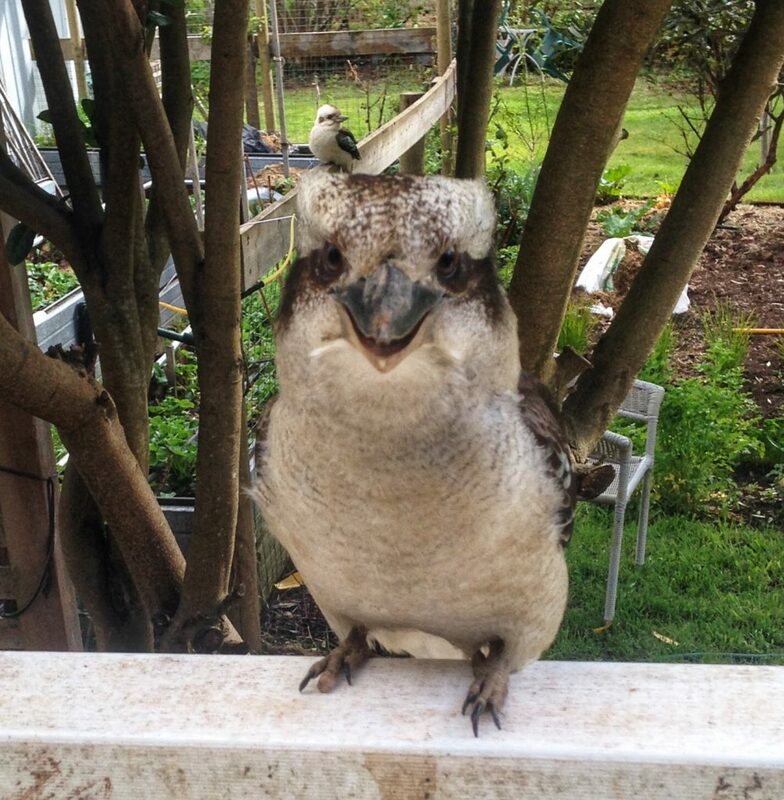 The birds battling for dominance are ravens, kookaburras, wattle birds, magpies and currawongs. A number of other species go about their business without interacting with us humans. Parrots in the grass, blackbirds tossing the garden, cockatoos stripping the chestnut tree and wrens and finches flittering in the shrubs. 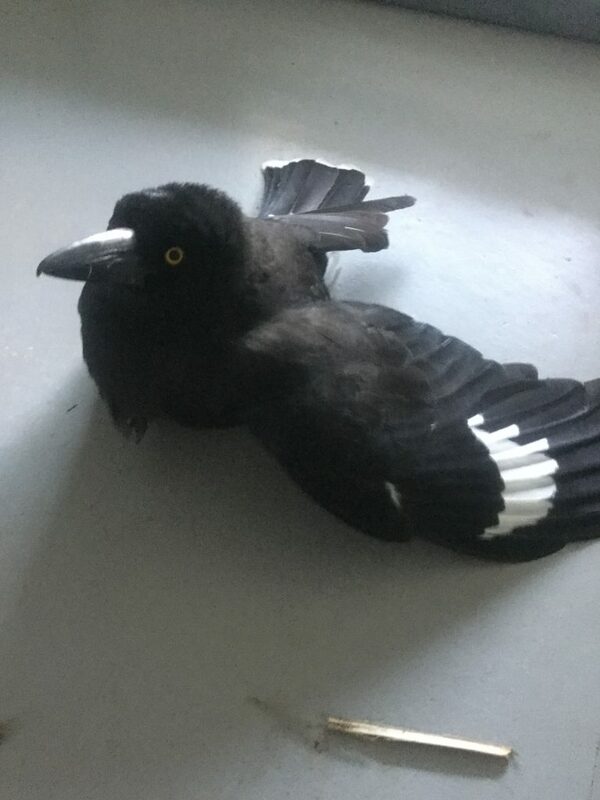 We are all still waiting to hear about the fate of our family currawong, now in the care of a Wildlife carer since last Saturday. She has no feeling in her legs. This bird became very much part of our family. She would introduce her young each year, and teach them the ritual of managing humans. She trained us well over the past few years. Other birds would gather when ever she visited our back door…or front door. Now she is no longer around the remaining birds are not as attuned with this ritual. 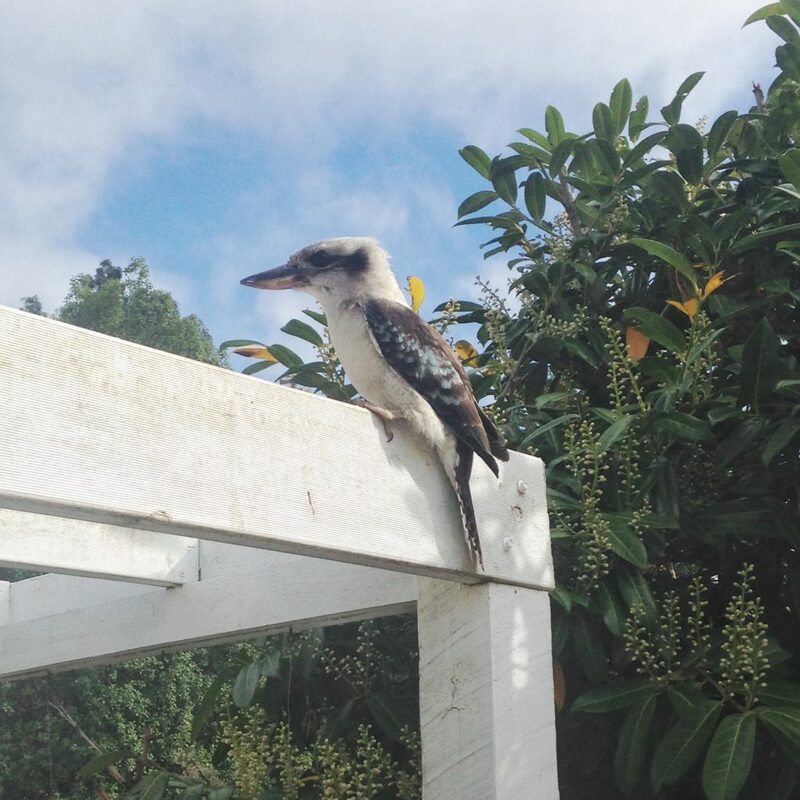 The kookaburra gang still hang around keeping constant watch. We hear the currawongs call from the trees. Hopefully our currawong will return. She is missed.